A Rhode Island mobster testified Thursday that he initially couldn’t recall some details of the day he helped then-New England Mafia boss Francis “Cadillac Frank” Salemme dispose of a body, but his memories came flooding back when he was in the woods collecting mushrooms. Seventy-eight-year-old Joseph DeLuca was grilled during cross-examination about why details he offered jurors a day earlier at Salemme’s trial for the 1993 slaying of South Boston nightclub owner Steven DiSarro were different than what he told a federal grand jury two years ago. DeLuca said his memory had improved. He said prosecutors were “shooting questions to me” so fast in the grand jury that he didn’t take the time “to dissect every detail” while recounting how he helped bury DiSarro’s body behind an old mill in Providence. It was only later, he said, that his memory was sparked as he sat in the woods, going over old photographs provided by law enforcement. “I believe I was out mushrooming and I sat down a while,” said DeLuca, who described himself as a big game hunter and fisherman who loves the outdoors. He said he called FBI agents to tell them that he had recalled details he had previously forgotten. It was DeLuca’s second day on the stand as a government witness in US District Court in Boston, where Salemme, 84, and Paul Weadick, a 62-year-old plumber from Burlington, are accused of killing DiSarro to prevent him from being a federal witness. According to federal prosecutors, Salemme and his son, Frank Salemme Jr., orchestrated DiSarro’s death because they feared he would cooperate with the FBI in an ongoing investigation targeting the Salemmes. DiSarro managed the Channel, a now-defunct South Boston nightclub that Salemme and his son allegedly had a hidden interest in. The elder Salemme is accused of summoning DiSarro to a meeting at his Sharon home on May 10, 1993, then watching while his son strangled him and Paul Weadick held his legs off the ground. Salemme Jr. died in 1995. DeLuca testified that his brother, Robert, a mob capo, asked him to help dispose of DiSarro’s body. 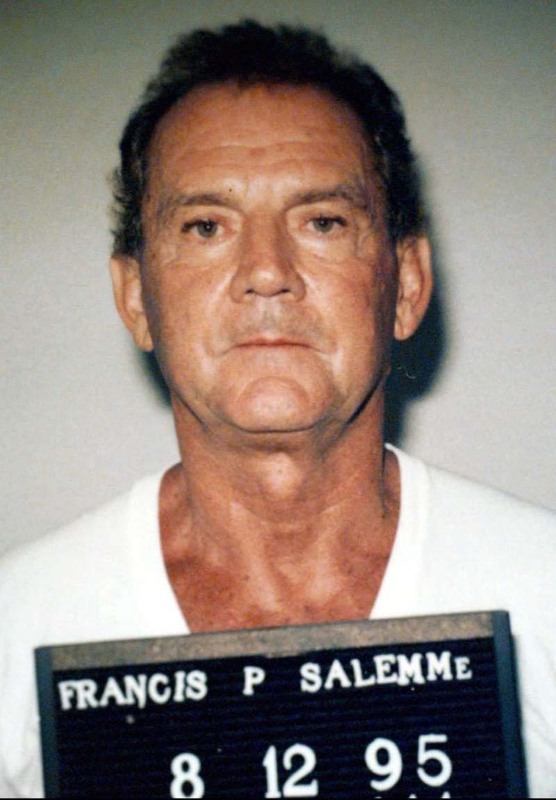 DeLuca said he met Salemme in Providence and the two of them transferred DiSarro’s body from a Jeep-type vehicle that Salemme was driving to the trunk of a rental car. DeLuca recounted in gruesome detail how he, his nephew, and a third man buried the body in a hole at a Providence mill, which was owned by another associate, William Ricci. Two years ago, Ricci began cooperating after he was charged in a drug case and led authorities to the remains. DeLuca acknowledged that he hopes his cooperation will help his brother, Robert, get some leniency. Robert DeLuca is scheduled to testify later in the trial. He gained infamy as one of four soldiers who pricked their trigger fingers, burned holy cards, and vowed to kill for the mob during a 1989 Mafia induction ceremony in Medford that was bugged by the FBI. Retired FBI agent Vincent delaMontaigne, who infiltrated the New England Mafia while working undercover in the 1980s, testified Thursday about a meeting in 1991 between Salemme and another high-profile mobster, Natale “Big Chris” Richichi, a capo in New York’s Gambino family who controlled rackets in Las Vegas. DelaMontaigne said he got a call from FBI agents who had learned from wiretaps that Richichi was en route to Boston to meet Salemme, then agents followed the mobsters to the Logan Airport Hilton. “They were at the front desk and I was behind them,” said delaMontaigne, who overheard Richichi switching rooms, then managed to book a room next door. An FBI team was able to record their conversations through the wall as the two mobsters talked business, he said. Those recordings are expected to be played for jurors when the trial resumes Friday.